Last year was such a whirlwind of a year! 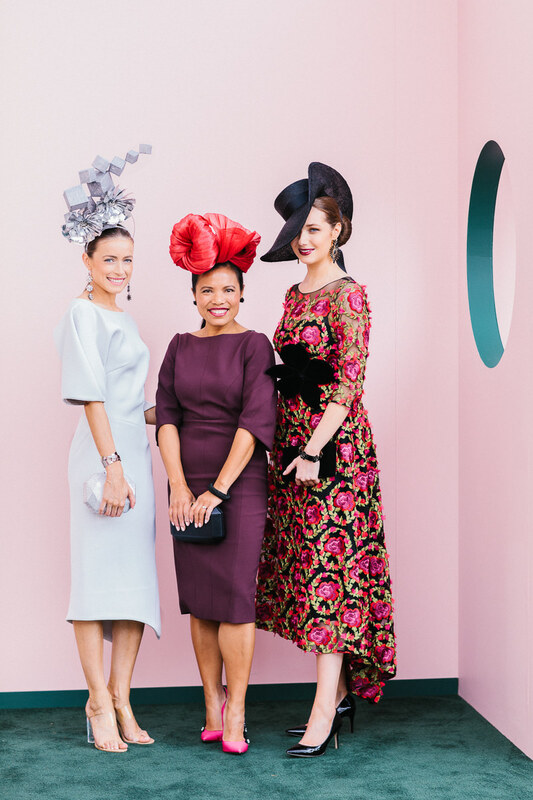 From launching my millinery label to being one of the selected few who were invited to enter the millinery competition on Kennedy Oaks Day during the Melbourne Cup Carnival. There was way too much excitement and I was up for the challenge. After speaking to a few milliners regarding their past entries, I knew that I was not going to leave it till the last minute and pull a couple of overnighters to finish it! The end of the year is generally a really busy time anyhow so it was best to get started early. My competition piece would be finished way ahead of time. Luckily I did start so early! After spending many days trying to create an aluminium dandelion, only to throw it into the trash in a fit of frustration! There was still plenty of time to go back to the drawing board. I was after something feminine and modern, something which would represent the balance of strength and beauty. With all that we have to juggle on a daily basis, it requires some mental strength to keep everything together as well as looking after our own needs. Some manage it well while others struggle. We can all do it with some effort. The sinamay squares stacked together on their edges represent balance. The aluminium flowers represent beauty in a stronger form. How thrilled was I to be in the top 20 of the millinery competition on Kennedy Oaks Day with my first ever entry! Emily Hunter was my chosen model. Emily has previously won the FOTF title at Flemington and I have known her since. She had the beauty and grace which was perfect for wearing my work of art. The Maticevski dress I chose for her was simple, modern and elegant, allowing the hat to stand out. Accessories were simple and elegant as well. The whole look couldn’t have been better. There are some brilliant millinery designers here in Australia. It was so nice to see one of my all time favourites, Rebecca Share, returning to the millinery scene after some time off – and she takes out the competition! Rebecca’s red sculptural design wowed myself and everyone else from the moment we laid eyes on it. It was also lovely to see the return of the large-brimmed hats. Boaters and Dior brimmed hats are so elegant and had disappeared for a while. One of my favourites was Louise McDonald’s Dior-brim hat. They have made a come-back, especially in the last season. Millinery 2019/2020 – What is next? So what’s next for Velvet and Tonic? For the moment, I’m going to concentrate on a handful of beautiful works of art, as my passion is in more sculptural shapes. I’ll also design some traditional pieces to please the traditional racing fashionistas (including myself). Until the Melbourne Cup Carnival hits us again, I hope to see some of you in your racing best around Victoria at some country race meets. Good luck to all who are entering FOTF anywhere. Have lots of fun with it and don’t forget to smile – it’ll be your best accessory!